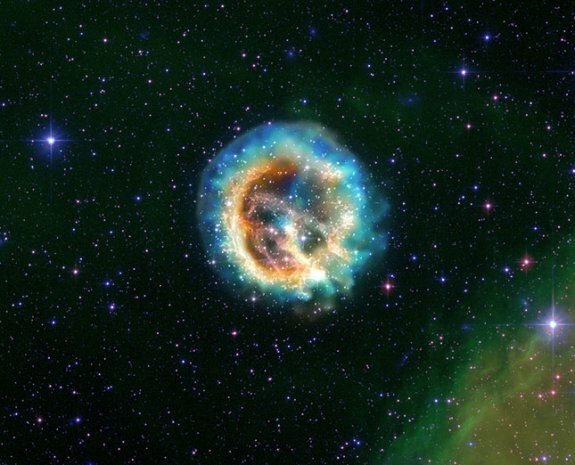 Rare earth elements created by rare type of supernova? In three stars far, far away, one of the rarest elements known to man has been spotted, improving our understanding about how heavy elements are created, bolstering evidence that a rare type of supernova may have been responsible for their creation. Tellurium -- a brittle and toxic semiconducting metal -- has for the first time been discovered in the atmospheres of three stars that are nearly 12 billion years old. The stars, all a few thousand light-years from Earth, live inside the Milky Way. With the help of the Hubble Space Telescope, astronomers from MIT and other institutions were able to "see" tellurium by the light it absorbs.